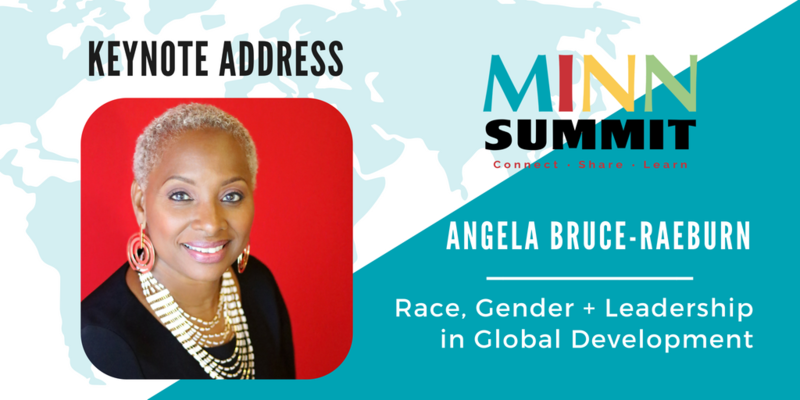 We are excited to announce that Angela Bruce-Raeburn will join the 2018 MINN Summit as keynote speaker to provide the address Race, Gender, and Leadership in Global Development: Lifting New Voices for Better Outcomes. Currently serving as Associate Director for Advocacy at the Global Health Advocacy Incubator (a Bloomberg Philanthropies program), Angela is also the founding principal of DiverseDev, an organization dedicated to starting the conversation about diversity and inclusion in the development sector. Previously, she worked as the Senior Policy Advisor for the Humanitarian Response in Haiti at Oxfam in the aftermath of the earthquake in 2010. Born in Trinidad and Tobago and raised in Brooklyn, New York, Angela’s immigrant experience drove her interest and commitment to choosing a career where she would be able to impact and improve the lives of people living in the developing world. Read Angela’s full bio.